On the 10th of December, last year, I wrote that my next post would generalize the results we got for two-state systems. That didn’t happen: I didn’t write the ‘next post’—not till now, that is. No. Instead, I started digging—as you can see from all the posts in-between this one and the 10 December piece. And you may also want to take a look at my new Essentials page. 🙂 In any case, it is now time to get back to Feynman’s Lectures on quantum mechanics. Remember where we are: halfway, really. The first half was all about stuff that doesn’t move in space. The second half, i.e. all that we’re going to study now, is about… Well… You guessed it. 🙂 That’s going to be about stuff that does move in space. To see how that works, we first need to generalize the two-state model to an N-state model. Let’s do it. The Hij coefficients in this set of equations are organized in the Hamiltonian matrix, which Feynman refers to as the energy matrix, because these coefficients do represent energies indeed. So we applied all of this to two-state systems and, hence, things should not be too hard now, because it’s all the same, except that we have N base states now, instead of just two. That looks like a monster, and it is, but, in essence, what we’ve got here is an expression for the determinant in terms of the permutations of the matrix elements. This is not a math course so I’ll just refer you Wikipedia for a detailed explanation of this formula for the determinant. The bottom line is: if we write it all out, then Det[Hij–δijE] is just an Nth order polynomial in E. In other words: it’s just a sum of products with powers of E up to EN, and so our Det[Hij–δijE] = 0 condition amounts to equating it with zero. Note I am following Feynman’s exposé, and so he uses n, rather than k, to denote the nth Roman numeral (as opposed to Latin numerals). Now, I know your brain is near the melting point… But… Well… We’re not done yet. Just hang on. For each of these values E = EI, EII,…, En,…, EN, we have an associated set of solutions ai. As Feynman puts it: you get a set which belongs to En. In order to not forget that, for each En, we’re talking a set of N coefficients ai (i = 1, 2,…, N), we denote that set not by ai(n) but by ai(n). So that’s why we use boldface for our index n: it’s special—and not only because it denotes a Roman numeral! It’s just one of Feynman’s many meaningful conventions. So… Well… That’s it! We’re done! This is all there is to it. I know it’s a lot but… Well… We’ve got a general description of N-state systems here, and so that’s great! Let me make some concluding remarks though. Feynman shows this will be true automatically if all the energies are different. If they’re not – i.e. 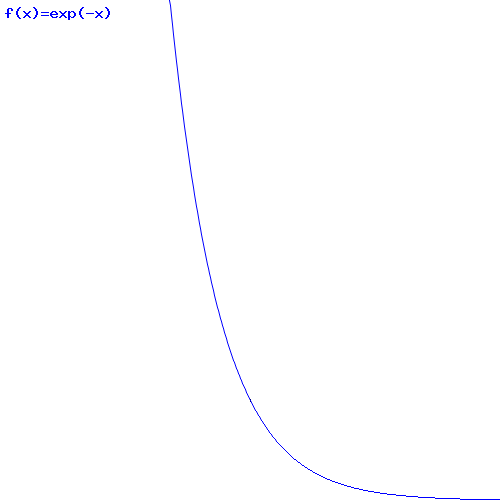 if our polynomial in E would accidentally have two (or more) roots with the same energy – then things are more complicated. However, as Feynman points out, this problem can be solved by ‘cooking up’ two new states that do have the same energy but are also orthogonal. I’ll refer you to him for the detail, as well as for the proof of that 〈n|m〉 = 0 equation. One of the equations may be a linear combination of the two others. In that case, that equation can be removed without affecting the solution set. 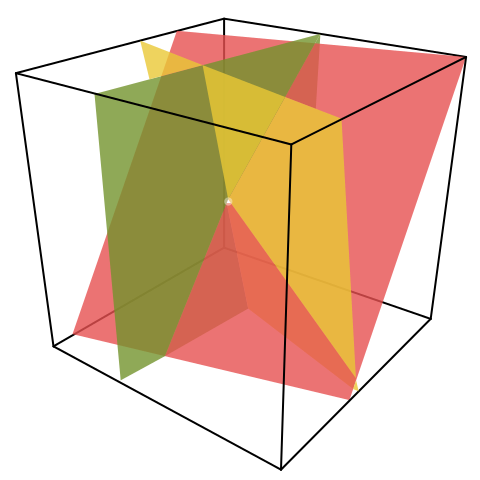 For the three-dimensional case, we get a line solution, as illustrated below. The zero vector (i.e. 0) is in W.
If x is an element of W, then any scalar multiple ax will be an element of W too (this is often referred to as the property of homogeneity). If x and y are elements of W, then the sum of x and y (i.e. x + y) will be an element of W too (this is referred to as the property of additivity). As you can see, the superposition principle actually combines the properties of homogeneity and additivity: if x and y are solutions, then any linear combination of them will be a solution too. The solution set for a non-homogeneous system of equations is referred to as a flat. It’s a subset too, so it’s like a subspace, except that it need not pass through the origin. 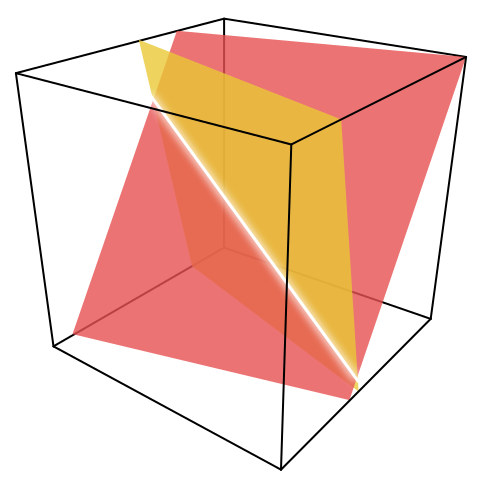 Again, the flats in two-dimensional space are points and lines, while in three-dimensional space we have points, lines and planes. In general, we’ll have flats, and subspaces, of every dimension from 0 to n−1 in n-dimensional space. The non-zero vector v is an eigenvector of a square matrix A if Av is a scalar multiple of v, i.e. Av = λv. The associated scalar λ is known as the eigenvalue (or characteristic value) associated with the eigenvector v.
Now, in physics, we talk states, rather than vectors—although our states are vectors, of course. So we’ll call them eigenstates, rather than eigenvectors. But the principle is the same, really. Now, I won’t copy what you can find elsewhere—especially not in an addendum to a post, like this one. So let me just refer you elswhere. Paul’s Online Math Notes, for example, are quite good on this—especially in the context of solving a set of differential equations, which is what we are doing here. And you can also find a more general treatment in the Wikipedia article on eigenvalues and eigenstates which, while being general, highlights their particular use in quantum math. In short, the picture we presented in the previous posts was a static one. Time was frozen. In reality, time passes, and so we now need to look at how amplitudes change over time. That’s where the Hamiltonian kicks in. So let’s have a look at that now. I’ve explained the point a couple of time already, but let me note it once more: in quantum physics, we always measure some (vector) quantity – like angular momentum, or spin – in some direction, let’s say the z-direction, or the x-direction, or whatever direction really. Now we can do that in classical mechanics too, of course, and then we find the component of that vector quantity (vector quantities are defined by their magnitude and, importantly, their direction). However, in classical mechanics, we know the components in the x-, y- and z-direction will unambiguously determine that vector quantity. In quantum physics, it doesn’t work that way. The magnitude is never all in one direction only, so we can always some of it in some other direction. (see my post on transformations, or on quantum math in general). So there is an ambiguity in quantum physics has no parallel in classical mechanics. So the concept of a component of a vector needs to be carefully interpreted. There’s nothing definite there, like in classical mechanics: all we have is amplitudes, and all we can do is calculate probabilities, i.e. 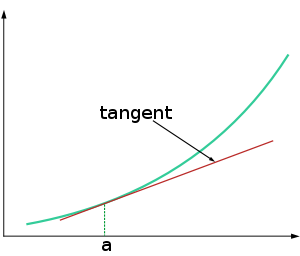 expected values based on those amplitudes. Fourth, you may have heard of the S-matrix, which is also known as the scattering matrix—which explains the S in front but it’s actually a more general thing. Feynman defines the S-matrix as the U(t1, t2) matrix for t1 → −∞ and t2 → +∞, so as some kind of limiting case of U. That’s true in the sense that the S-matrix is used to relate initial and final states, indeed. However, the relation between the S-matrix and the so-called evolution operators U is slightly more complex than he wants us to believe. I can’t say too much about this now, so I’ll just refer you to the Wikipedia article on that, as I have to move on. So Kij is also some kind of derivative and the Kronecker delta, i.e. δij, serves as the reference point around which we’re evaluating Uij. However, that’s about as far as the comparison goes. We need to remind ourselves that we’re talking complex-valued amplitudes here. In that regard, it’s probably also good to remind ourselves once more that we need to watch the order of stuff: Uij = 〈 i | U | j〉, so that’s the amplitude to go from base state j to base state i, rather than the other way around. Of course, we have the 〈 χ | φ 〉 = 〈 φ | χ 〉* rule, but we still need to see how that plays out with an expression like 〈 i | U(t + Δt, t) | j〉. So, in short, we should be careful here! Done ! Of course, this is a set of differential equations and… Well… Yes. Yet another set of differential equations. 🙂 It seems like we can’t solve anything without involving differential equations in physics, isn’t it? But… Well… I guess that’s the way it is. So, before we turn to some example, let’s note a few things. First, we know that a particle, or a system, must be in some state at any point of time. That’s equivalent to stating that the sum of the probabilities |Ci(t)|2 = |〈 i | ψ(t)〉|2 is some constant. In fact, we’d like to say it’s equal to one, but then we haven’t normalized anything here. You can fiddle with the formulas but it’s probably easier to just acknowledge that, if we’d measure anything – think of the angular momentum along the z-direction, or some other direction, if you’d want an example – then we’ll find it’s either ‘up’ or ‘down’ for a spin-1/2 particle, or ‘plus’, ‘zero’, or ‘minus’ for a spin-1 particle.